Michele Farritor McMurray is a graduate of the University of Arizona with a degree in Education; and an Historic and Naturalist Interpreter. She has served on the Board of Rock Ledge Ranch Historic Site, Colorado Springs, Colorado, and was Editor of their Quarterly Newsletter. As a City of Colorado Springs Parks and Recreation Department Employee, she served as a Park Interpreter for the Garden of The Gods City Park. 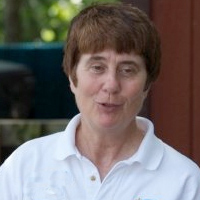 Michele is a member of the National Association of Interpreters (NAI) and is a Certified Interpretive Guide. She has keen enduring interest in researching her Farritor Genealogical roots, and enthusiastic devotion to Irish-American and Irish History.